In celebration of my official decision to attend the University of North Carolina Chapel Hill next fall, I present to you the M&M cookies that I wrote about in my supplemental college essay! 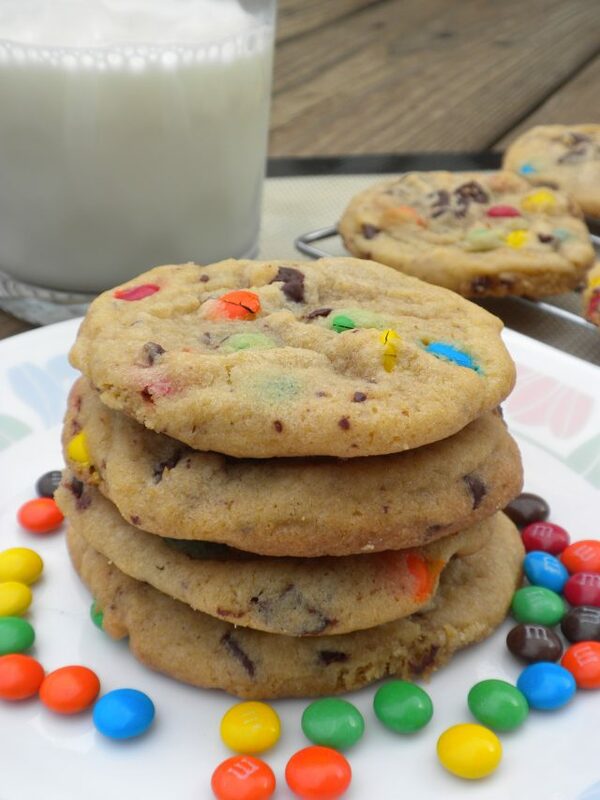 These are perfectly crisp on the outside, chewy on the inside, and dotted with colorful melted M&M’s that will surely stain your fingers with every bite . The trick to making super chewy cookies is instant vanilla pudding mix. 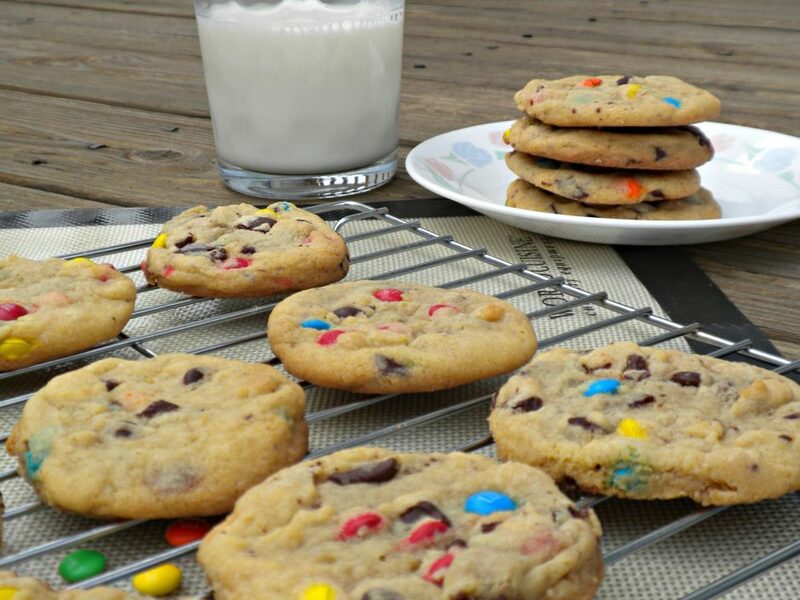 If you’ve never made pudding cookies before, try these. I promise you won’t regret it. I’m a fan of the cookie dough base in chocolate chip cookies – sort of like how I like a higher ratio of crust to pie filling, I like more cookie and less chocolate. I don’t want to just get a mouthful of candy (especially with the low-quality chocolate in M&M’s,), so I add chopped dark chocolate to the dough. 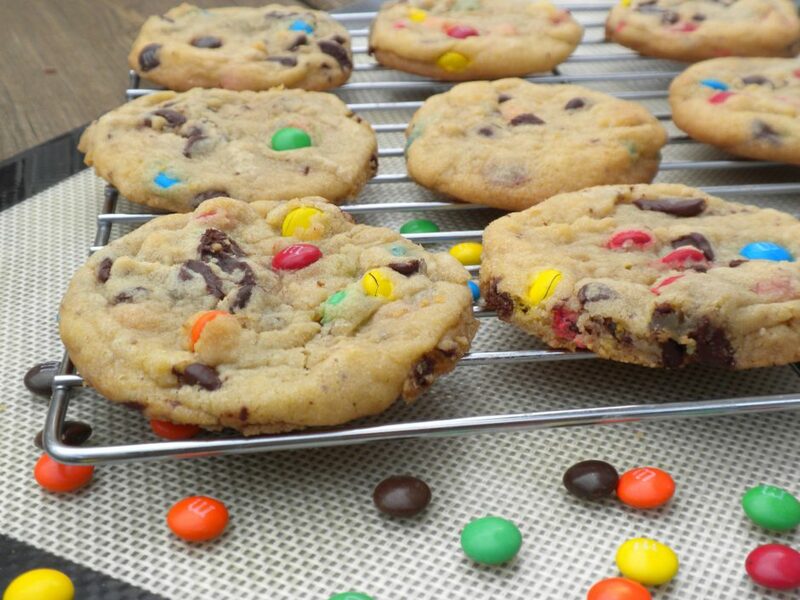 If you love a loaded M&M cookie though, just throw more in there! I’ve never taken my photos in the morning before, but that’s what happened today because I was home from school. There are visible differences in lighting between the pictures from the beginning of the photoshoot and the end, as the sun shifted positions in the sky. Pretty cool! Preheat oven to 350 F and line a large baking sheet with a silicone baking mat or parchment paper. In a large bowl, cream butter and sugars. Add egg and vanilla until thoroughly combined. Add flour, pudding mix, baking soda and salt mixing on low speed, then medium speed until dough forms. 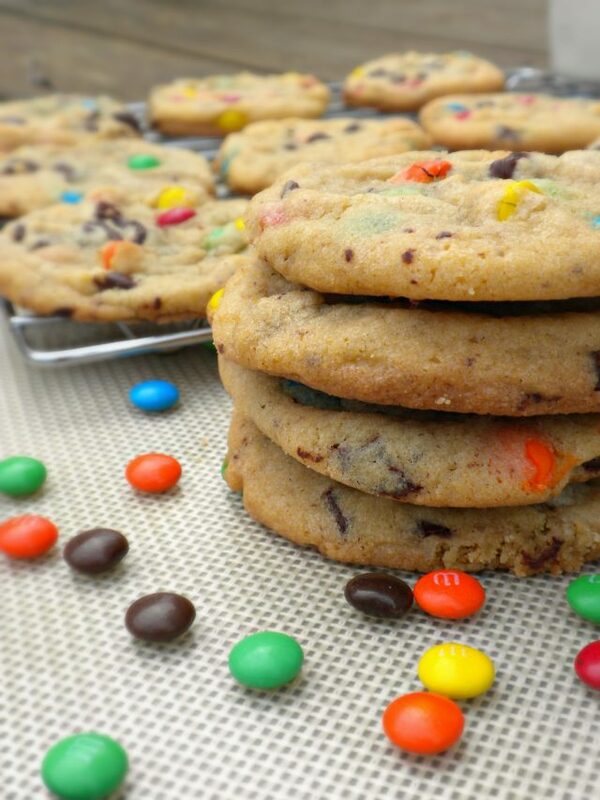 Add the chopped chocolate and mini M&M’s until they are uniformly spread through out the dough. Scoop up a 2-inch diameter ball of dough and shape into a ball. Pull it apart in the middle so you have two halves, and place each half 2 inches apart, smooth side down. Repeat until remaining dough is used up. Bake for 9-11 minutes until bottoms are slightly brown. The cookies will look slightly undone, but the leftover heat will continue to cook them after they are out of the oven. Keep them on the cookie sheets for at least 10 minutes before transferring to cooling rack. Store in air-tight container when cool. I’d have to say maybe less pudding in it I think it made it tooo sweet but other then that they are fantastic!